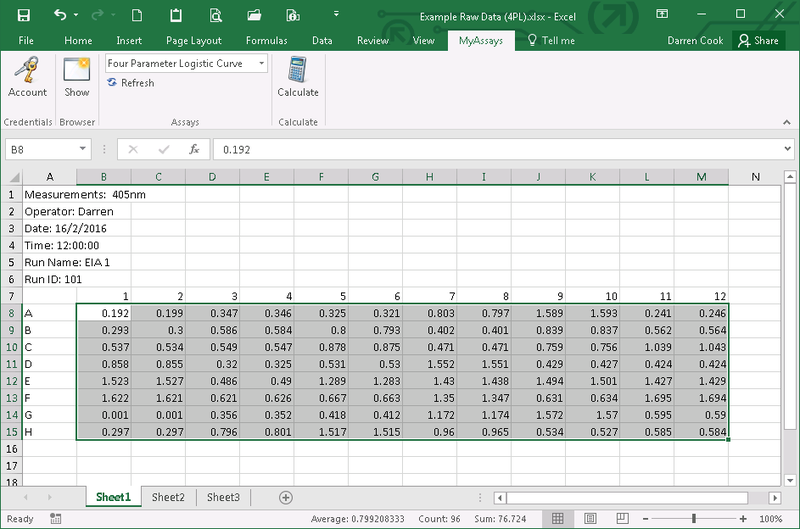 MyAssays is available as an Add-In feature for use in Microsoft Excel you can download from here. 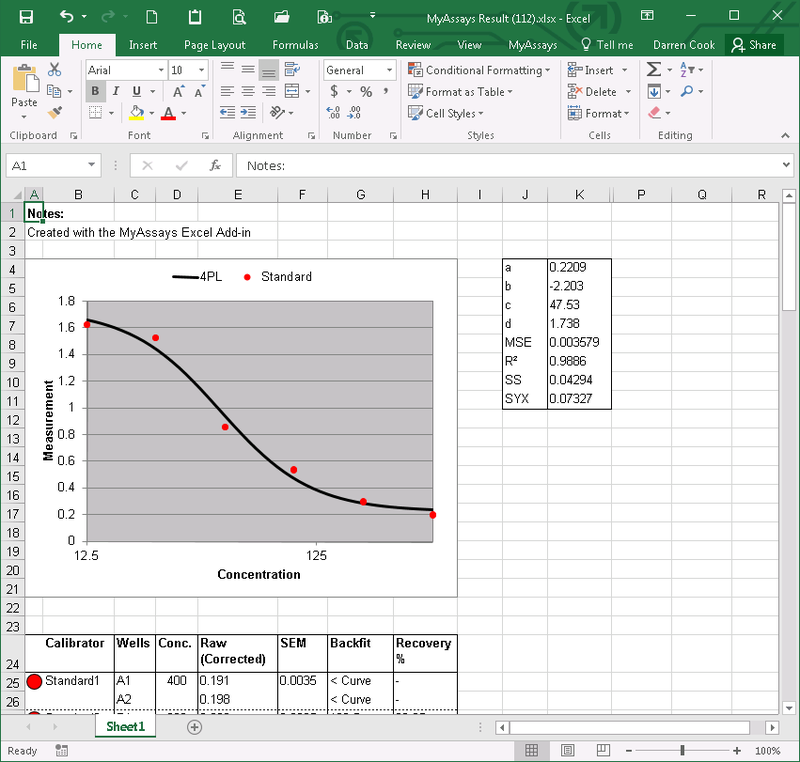 This means you can work with the online MyAssays service in Microsoft Excel without having to copy and paste data through your browser. 1. Navigate to the MyAssays tab. 2. Choose your assay from the MyAssays list. 3. Select your measured raw data for analysis. The chart elements are full Excel objects that are available for editing. For more information on installing and using the Add-In, please see Getting started with the MyAssays Add-In for Microsoft Excel. The MyAssays Add-in uses the online MyAssays.com service to process data. If you prefer to keep your data in-house, try MyAssays Desktop.